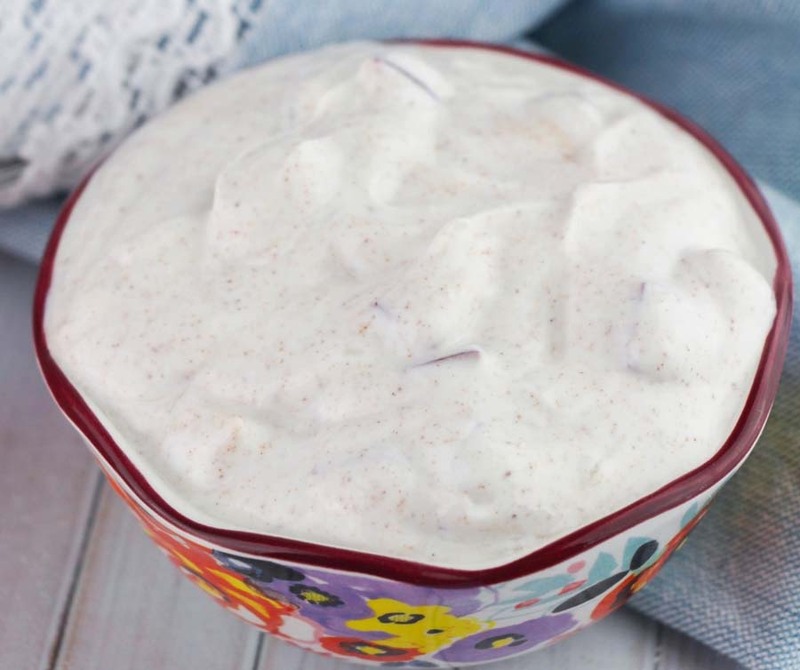 Apple Cinnamon Wonder Whip is a delicious protein-packed dessert recipe! It’s so easy to make, and can be eaten as a snack, dessert, or part of a meal! 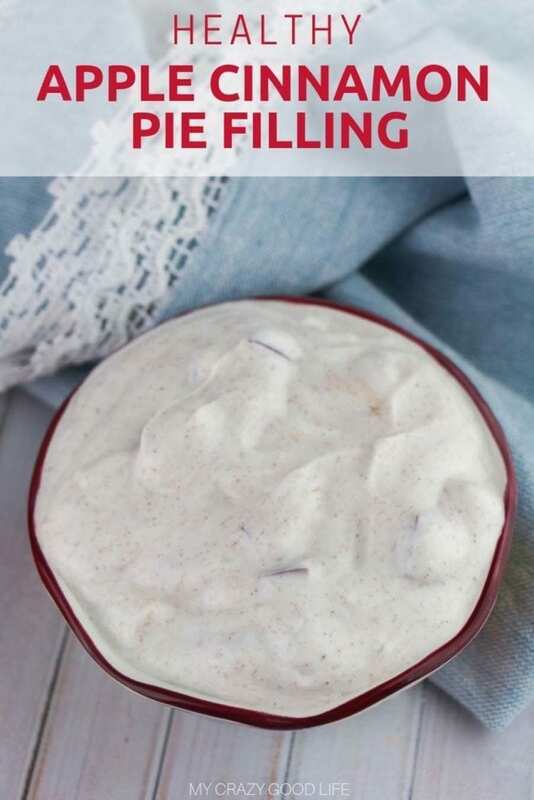 It’s a delicious 21 Day Fix dessert or snack and can also be used as a no bake pie filling! Apple cinnamon Wonder Whip is like the best parts of all your favorite fall desserts in one! Apples and cinnamon were just made for each other and this Wonder Whip recipe is quick, easy, and oh so tasty. It’ll keep in the fridge for a few days (up to a week) so you can even whip up a larger batch to have on hand for breakfast, snacking, and desserts. Wonder Whip was created as part of the 2B Mindset world. Like 21 Day Fix, 2B Mindset is a healthy eating program through Beachbody! Of course, when Wonder Whip first made an appearance it was a huge hit! It’s delicious, creamy, and hugely customizable! There are so many amazing flavor combinations out there, I’ve shared quite a few (you can find here). There are savory options you can use for dipping veggies or chips as well as sweet options that can be used for pie filling, dessert, or snacking. What is in Apple Cinnamon Wonder Whip? Like most of my Wonder Whip recipes there are just a few simple ingredients in this Apple Cinnamon Wonder Whip. The ingredients are 21 Day Fix and 2B Mindset friendly! These are wholesome, natural ingredients that you can pronounce! Yogurt, apples, and cinnamon…it doesn’t get easier than that right? What kind of yogurt should I use in Wonder Whip recipes? When you are making Wonder Whip recipes it’s important to choose a great yogurt for your base. This is less important if you are not on 21 Day Fix or 2B Mindset. I always think quality ingredients are important but those of you who are just eating healthy and not following a specific plan will have less restrictions!! For me, I use 1% or non-fat. My go-to yogurt is Oikos Triple Zero Greek. It’s one of the only kinds of yogurt that I can actually eat right out of the container! Remember that artificial sweeteners are a no-no on the 21 Day Fix (in general they’re not that great for you and can cause cravings) so make sure to avoid them. Keep an eye on the ingredients in your yogurt as the ingredients can vary in different countries and in different types or brands. Anyone on the 21 Day Fix can have the Oikos Triple Zero which is sweetened with Stevia. 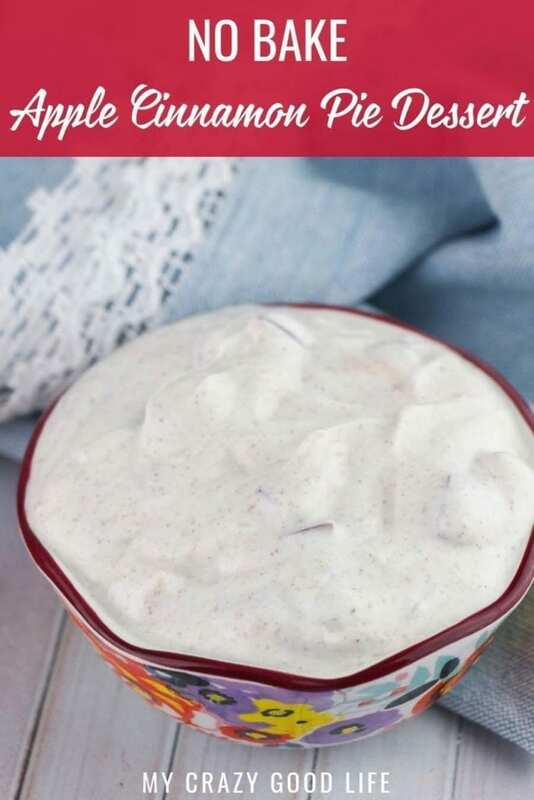 You can also have 2% plain greek yogurt, either will be delicious in this Apple Cinnamon Wonder Whip! Can I use something else besides yogurt? Here’s the thing…I hate yogurt for the most part too. BUT these kinds of Wonder Whip recipes have really opened up my palette to yogurt. Give it a chance first because whipping the yogurt with the flavorings can really change the texture and taste. 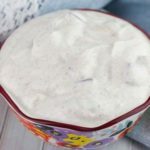 You might find that Apple Cinnamon Wonder Whip is delicious despite the yogurt :) I haven’t tired making them with any other main ingredient but other users have said cottage cheese works too! Sweetening the yogurt with stevia helps so try that before you give up on the yogurt! Wonder Whips are my new favorite! Were can I find more tasty recipes!?! I’ve got a bunch for you to try, check them out right here! Whip together all ingredients using a fork, whisk, blender, or mixer! What a delicious and healthy dip! So perfect for parties when you have spent so long making sure you fit into the perfect cocktail dress!